Yani, Achmad (2013) Evaluation of Teaching Arabic Methodology in realizing the goals of education: Case study of Islamic University of Malang - Indonesia. 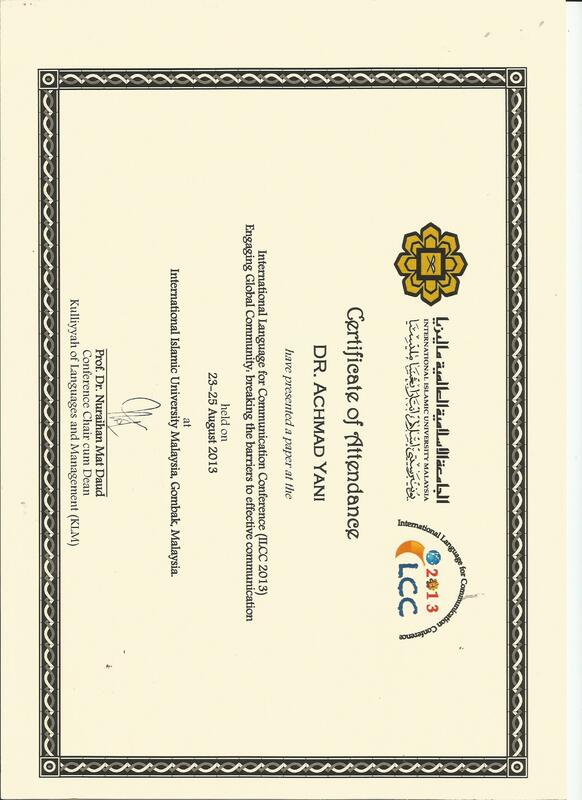 In: ILCC IIUM 2013, 23-25 Aug 2014, Gombak, Kuala Lumpur. This research is an analytic and evaluative study on the curriculums of Arabic teaching for Malang State University in Indonesia in the light of modern curriculum of Arabic teaching for non-Arabs. It aims at disclosing whether or not the curriculums are in accordance with the curriculums of Arabic teaching for non Arabs based on modern perspective. 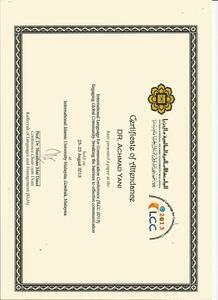 This research took sample of the teachers of intensive programs for Arabic teaching at Malang State University in Indonesia. This research used questionnaire and interview in collecting data. Questionnaire was distributed to the Arabic teachers while interview was run with he directors of Arabic teaching program. This research disclosed that the curriculums applied for Arabic teaching for Malang State University students in Indonesia are in accordance to great extant with the curriculum of Arabic teaching for non Arabs in the light of modern perspective. This research recommended that the objectives of teaching of Arabic in Malang State University are communicative objectives. This is actualized by means of applying well designed syllabus, modern teaching methods, modern teaching aids, well designed evaluation, and qualified teachers.